This course is aimed at participants with no prior knowledge of Italian. It will teach participants how to understand and speak the language at a basic level. Participants will receive grounding in grammar and conversation. Class participation is an important element of the course and participants will need to spend time each day doing homework tasks. On completion of the course participants should be able to communicate in Italian in everyday situations. They will also have acquired the essential elements to enable further study. Participants are required to buy the textbook, Facilissimo by D. Krasa and A. Riboni, which is available on Amazon. Dr Mara Boccaccio is a teacher of Italian Language at Società Dante Alighieri and at the University of Cape Town, where she also researches Italian Literature. She studied at Scuola Normale Superiore in Pisa and she has a PhD in Italian Studies. In 2012 she came to South Africa as a post-doctoral fellow at UCT, and has since settled here. 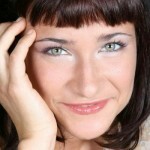 She is specifically qualified as a teacher of Italian as a foreign language. She is a published poet in Italian and English.